We believe, Hinduism exists in Nepal like nowhere else in the globe. The country was once known as a Hindu kingdom. For the sake of indiscrimination, it’s no more called for now. As a major religion, most of the population covers the religion making Buddhism, Christian, Islam and other religions the secondary ones. Our Hindu Pilgrimage Tours packages takes you to some of the most popular and the most frequently visited Hindu Pilgrimage Sites in the country. Pashupatinath Tour – A pilgrimage tour to seven UNESCO designated world heritage site in Kathmandu. Himalayan Pilgrimage Journey offers the best Pasupatinath pilgrimage tour package in Nepal at most affordable rates! If you are planning your pilgrimage yatra in Pashupatinath, then you need not look further. Gosainkunda is another miracle in Nepal, successful to please all explorers and gratify all pilgrims who arrive to admire her beauty and perform a sacred worship. Yes, Gosainkunda is a holy and alpine freshwater oligotrophic lake situated in Nepal’s Langtang National Park. As its name suggest, Halesi Mahadev Temple becomes the prime attraction of this trek. One of the most ancient and holiest structures in Nepal, this temple holds a valuable significance to foreign visitors and its followers as well. It is well – known by the natives as The Pashupatinath of the Eastern Nepal. Pashupatinath and Muktinath Tour takes you to the most sacred holy Temples of Hindus in the South Asia. Thousands of devotees visit these temples every year. Pashupatinath and Muktinath both are the famous tour destination amongst the domestic and international tourists. Damodar Kunda tour by helicopter is designed tour for those pilgrims who desire to explore the holy surrounding and take a bath into the holy lake Damodar Kunda. Damodar Kunda situated at Upper Mustang one of the most beautiful natural wilderness and also a rain shadow area of Nepal. Kathmandu Manakamana Muktinath Tour allows you to explore the culturally, naturally and spiritually venerated sites in Nepal. 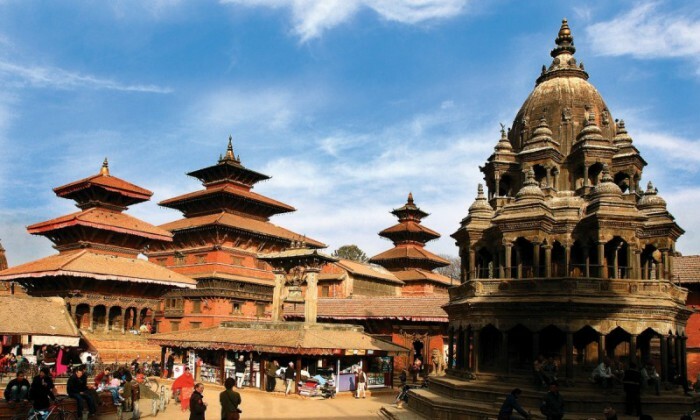 This tour combines some of the cultural assets of Kathmandu, holiest site of Manakamana and natural and religious Landmarks of Muktinath.